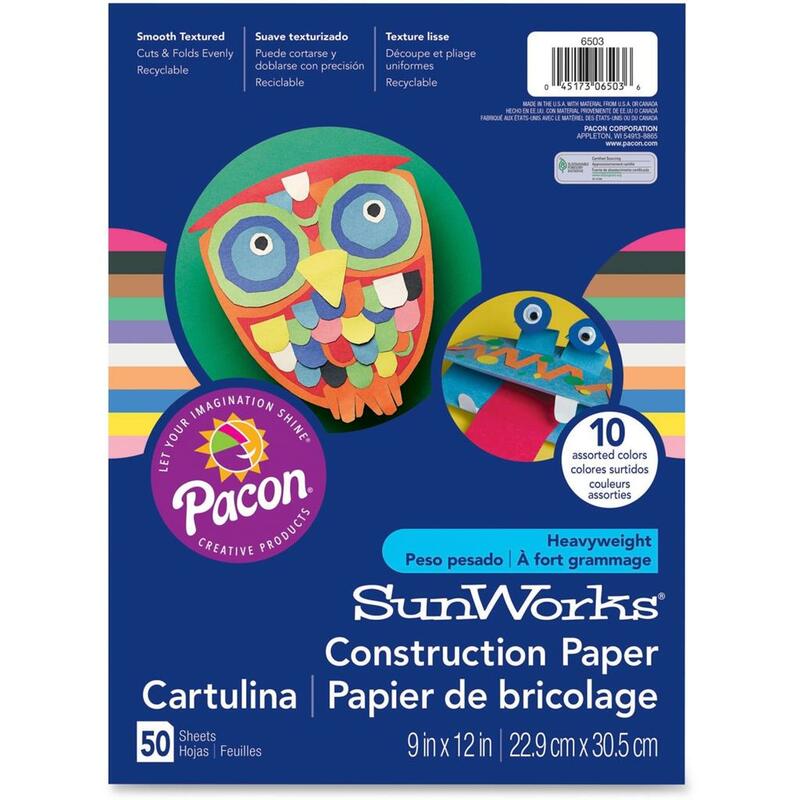 SunWorks Construction Paper is perfect for arts and crafts, school projects and more. This heavyweight, groundwood construction paper provides the best value in school grade construction paper. The bright, consistent colors ensure that you'll always find the perfect colored paper for any project. SunWorks Construction Paper is perfect for arts and crafts, school projects and more. This heavyweight, groundwood construction paper provides the best value in school grade construction paper. The bright, consistent colors ensure that you'll always find the perfect colored paper for any project. This smooth-textured paper cuts and folds evenly without cracking. Paper is recyclable. © Copyright 2019 MANCON, LLC. All rights reserved.